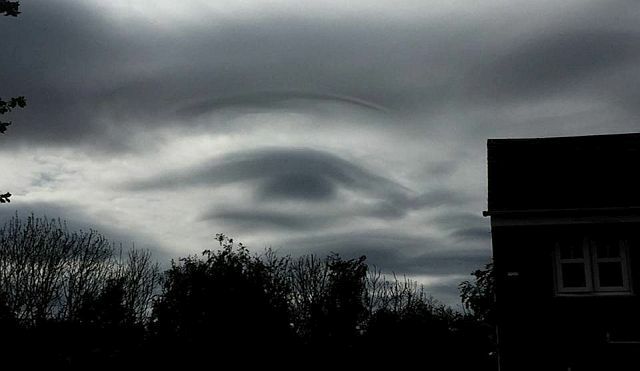 An eerie cloud that appeared above Leeds, Yorkshire UK formed the perfect shape of an eye, right down to the eyebrow. Graham Telford, a facilities manager, who spotted the cloud on April 3, 2017 shared the amazing image to fellow cloud watchers and told to news outlet Metro: I have never seen anything like this before, the cloud looks exactly like an all-seeing eye, it was amazing." Image: Credit Graham Telford - Mercury Press. We’re all familiar with the so-called All Seeing Eye. Some say it is the eye of Providence which is a symbol showing an eye often surrounded by a glory and usually enclosed by a triangle. It is representing the eye of God watching over humankind (or divine providence). 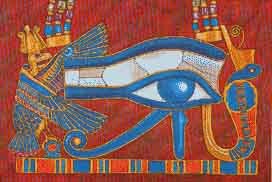 Imagery of an all-seeing eye can be traced to Egyptian mythology, while in regions where Evil Eye belief occurs, the all-seeing eye is one of many forms of reflective eye-charm used as apotropaic talismans against the this danger. Others call it the ‘All-Seeing Eye of Horus, the Egyptian Sun God. Horus is the god of the sky and the son of Osiris, the creator (whose own birth was thought due to the Ogdoad). Horus became depicted as a falcon, or as a falcon-headed man, leading to Horus' name. In modern area, the all-seeing eye is often associated with Freemasonry while the most notable depiction of the eye is the reverse of the Great Seal of the United States, which appears on the United States one-dollar bill. According to ancient myth, the all-seeing eye means: Death and resurrection a metaphor for the journey of the soul in the games of physical reality. The second eye in the sky in as many months.